Eat Street Markets, Hamilton Wharf Northshore, Brisbane - my name is Food. First up, we walked around to see what was on offer in the different stalls. 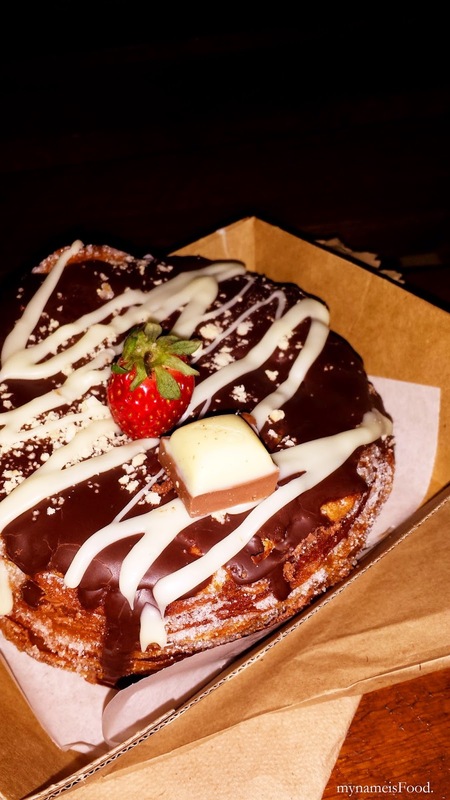 We wanted to have a bit of a nibble here and there, and what better way to start off with cronuts? 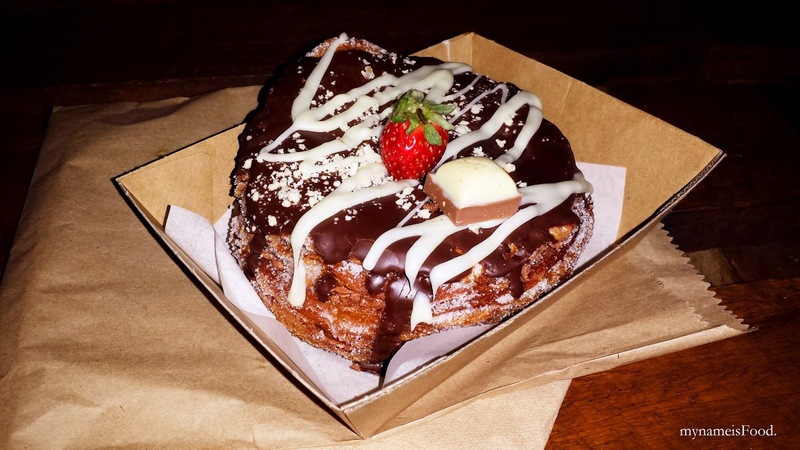 Yes, the sensational cronuts, the donut x croissant that everyone has been on about for the last year, the crisp, the layers, the thickness, the messiness. Deep fried buttery half donut, half croissant with toppings on top. 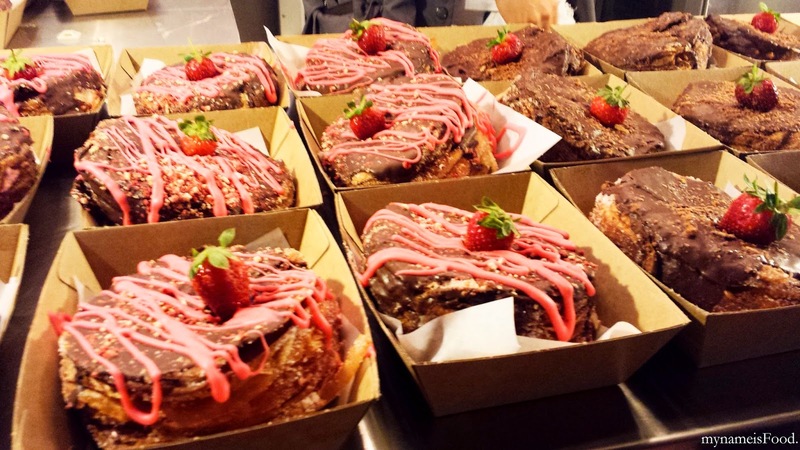 Chocolate Komberry Co. is a food truck offering cronuts with various toppings. May it be simply drizzled with chocolate, or red velvet, or peanut butter, or even top deck. It sure will give a smile on your face and lick your fingers. We bought one to share since we didn't want to overload ourself with the sweetness. 'Top Deck' reminds me of Cadbury Dairy Milk's Top Deck.. Topped with chocolate coating, drizzled with white chocolate, icing sugar and a strawberry in the middle. Overload much? They do change their flavours every so often, so do get on by and try them out. 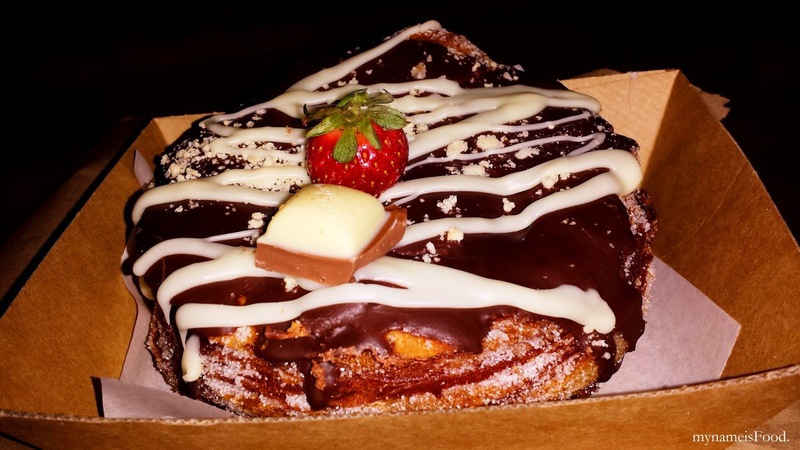 I did prefer if the cronut itself was a bit warm, or maybe it has been out for too long in the open, making it not as crispy and bit hard to bite and chew. It's been so long since I have had an 'Okonomiyaki' aka. Japanese style savoury pancakes filled with vegetables and meat or seafood. Whilst we did wander around the other stalls, what caught my eye was Okonomi House, serving various types of Okonomiyaki. Though their base may be the same, but the fillings aren't. The base batter is usually made out of shredded cabbage and egg, whilst the toppings offered includes pork, seafood, cheese, beef and so on. 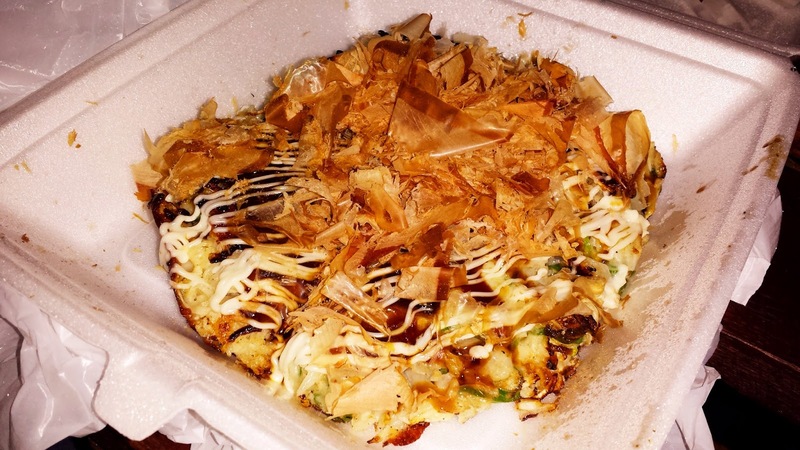 We ordered their best and customer's favourite which was their 'Pork belly and cheese Okonomiyaki' ($13). Topped with bonito flakes, and drizzled with okonomiyaki sauce and mayonnaise. How wonderful it is, to eat such a healthy dish? Or isn't it... hmmm.. Well, one down side of this was how thin the pork were making me wonder whether it's actually filled with pork or not. Since the batter is quite thick, you hardly can see any meat sometimes. You do see the cheese oozing out and all, but the pork? I would like it to have been thicker and visible to the eye, instead of having to taste just a whole lot of egg, flour and shredded cabbage. 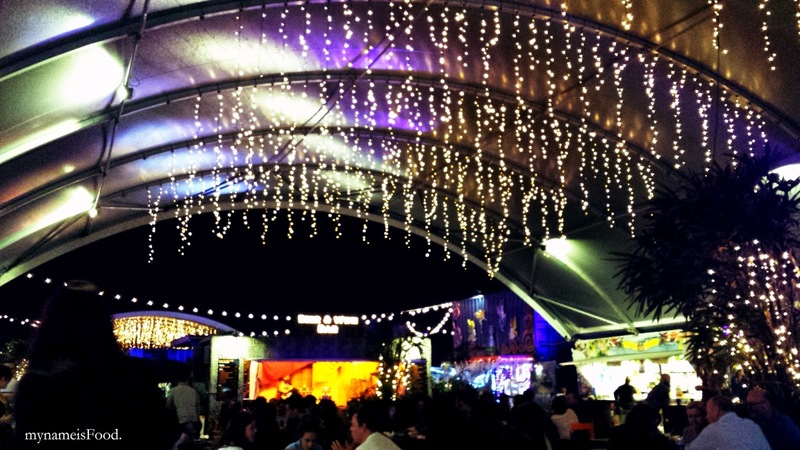 When you do visit Eat Street Markets, remember to keep an empty tummy and a big appetite, you definitely will have to go there not only once or twice, but a couple of times to be able to go through all of the food offered.